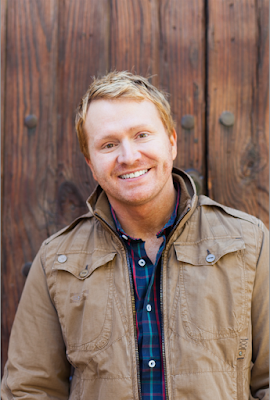 Shane McAnally pulled off a rare, if not unprecedented feat, Wednesday morning when he was nominated for four CMA Awards – twice in the Song of the Year category (Kenny Chesney’s “American Kids” and Sam Hunt’s “Take Your Time”), Single of the Year for “Take Your Time” as a producer and Album of the Year for Kacey Musgraves’ Pageant Material (as a producer) and unofficially squares off with himself for Song of the Year for the 49th Annual CMA Awards. The hit songwriter and producer reached a number of milestones with his four nominations. He joins Alan Jackson as the only songwriters to have two of his songs compete in the Song of the Year category in different years. He won the 2014 CMA Song of the Year for co-writing Kacey Musgraves’ “Follow Your Arrow with Musgraves and Brandy Clark. McAnally also was previously nominated twice in the Song category when Kacey Musgraves’ “Merry Go Round” and Miranda Lambert’s “Mama’s Broken Heart” were nominated in 2013. The Song of the Year nominations put McAnally in some fairly rare company in CMA history. He’s now among the awards’ most-nominated songwriters with five songs awarded nominations. Jackson and Bob McDill have written seven, Bobby Braddock, Vince Gill and Brad Paisley have six, and McAnally is tied with Don Schlitz with five. He has a total of nine career nominations. McAnally also is up for a trophy as producer on Hunt’s single “Take Your Time” with Zach Crowell and Musgraves’ album Pageant Material with Musgraves and Luke Laird. “American Kids,” a No. 1 song that served as the thematic launching point for Chesney’s The Big Revival album and tour, also is nominated in this category, but the award only goes to the performer and producer. McAnally is one of Music Row’s most popular songwriters with cuts recorded by many top stars, including Tim McGraw, Carrie Underwood, Keith Urban and Darius Rucker. He and Kacey Musgraves co-produced her album Pageant Material, released earlier this year with Laird and is at work on Old Dominion’s first release, Meat and Candy, for RCA Records. He is currently serving as lyricist and composer for the Dallas-based show Moonshine: That Hee Haw Musical, which runs at The Dallas Theater Center through the Fall.